DAY 1: Starting a business in the cannabis industry with I 502. COST – $300.00 per person. Choosing the correct corporate structure for the I-502 commercial business. I 502 business permits and other business paper work needed. Where is the best location to open your business. Institute a strategy to scale up your collective garden to a larger I-502 commercial operation. Banking solutions for the I 502 cannabis industry. Merchant account services for your business. DAY 2: Cultivation & Edibles: Take lessons from professional growers and marijuana bakers. Get started and produce your own medicine. Instructions for watering, lighting, ventilation and cycles. Take instructions from veterans in the field. Mixer And Resources: get off on the right foot. First opportunity to meet and greet with others in the industry. Exchange contact information to begin partnerships. If you hired an attorney for a consultation on I 502 business and permits, you could pay $300 per hour just for the consultation and you’re on your way with no additional help (unless you want to pay for it). Washington Cannabis Institute live seminars puts you in front of real attorneys who specialize in I 502 law in Washington for 2 whole days with guest speakers from the WLCB. 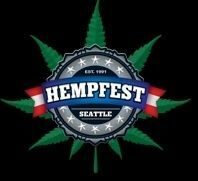 This is a terrific opportunity for anyone who is interested in starting a legitimate business in the I 502 marijuana industry in Washington State. We will assist you to get over the scary questions – to find some reliable support and to make clear decisions. You can enroll by clicking the enrollment link below or you can contact us (206) 659-6981 to have a customer service representative assist you over the phone.